The gold trophy winners are announced, the red carpets rolled out, and yet another year at the Academy Awards passes without a Best Title Design category. 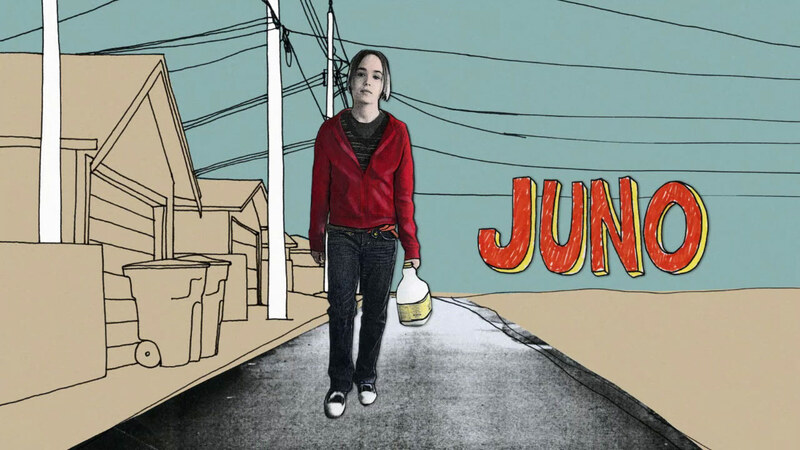 So why isn’t there an Oscar for Best Title Design? After all, there are Academy Awards for other artistic and technical endeavours related to film, like Best Sound Design, Best Costume Design, and Best Production Design, so why not recognize title design too? The Primetime Emmys honour television title sequences with the Outstanding Main Title Design award. Shouldn’t there be a film equivalent? Well, there was at one point. At the very first Academy Awards in 1929, The Red Mill won the Oscar for Best Title Writing – an award that recognized the silent film with the best intertitles. However, the advent of the talkie era quickly made the Title Writing category obsolete and it was phased out the following year. The only other time that title design has come close to being recognized by the Academy of Motion Picture Arts and Sciences occurred more than a decade ago. In 1999, a Best Title Design category was proposed to the AMPAS Board of Governors (who meet yearly to consider new award categories) but the idea was ultimately rejected. Is it finally time for title sequences to be recognized at the Oscars? This is a question that has been nagging Art of the Title – and many of our readers – for some time now. The answer is not so simple. Title sequences have been an integral part of cinema almost since the birth of the medium. What started as a legal formality at the beginning of a movie slowly evolved into an artform of its own, one responsible for some of the most indelible and iconic moments in cinema history. North by Northwest, Psycho, Dr. No, The Pink Panther, The Good, the Bad and the Ugly, Bullitt, Taxi Driver, Star Wars, Superman, Se7en – what would these films be without the incredible title sequences that introduced them? Stills from some of the most iconic title sequences ever made. Richard Greenberg is a title designer and a co-founder of R/Greenberg Associates (now international agency R/GA). He designed the opening titles of Superman, Alien, Altered States, True Lies, The Dead Zone, and many more. "A good title sequence prepares an audience for what they are about to see not unlike the overture in a musical score. The combination of narrative filmmaking and graphics is very powerful. Audiences often remember a significant title sequence more than the film itself." What names like D.W. Griffith, Akira Kurosawa, Alfred Hitchcock, Stanley Kubrick, Martin Scorsese, and Steven Spielberg are to the movies, names like Saul Bass, Maurice Binder, Pablo Ferro, Richard Greenberg, and Kyle Cooper are to title sequences. Film title design is a craft that has become an invaluable tool in the filmmaking arsenal; it is a singular artform with a significance to the movies that cannot be understated. We recently asked some of the top title design talent in the world how they felt about the possibility of a Best Title Design category at the Oscars and what they think are some of the reasons preventing the inclusion of such a category. Ben Radatz is a filmmaker, designer, and Art of the Title contributor, as well as a partner and co-founder of MK12 Studios, a motion graphics and design collective. He designed the opening titles of Stranger than Fiction, The Kite Runner, and Quantum of Solace. When done well, a title sequence is critical to both the internal and external message of its film. It is impossible to imagine Psycho, Vertigo, Se7en, Fight Club, or any Bond film without their respective sequences. 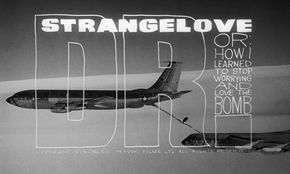 The very substance of Dr. Strangelove or The Shining would be diluted or misdirected without the context given by theirs. It is without question that title design has contributed to film culture in a significant way. Its artists are a rare combination of storyteller, designer, craftsman, and avant-garde filmmaker – a hybrid profession unique to the film industry until very recently. All other awards shows look to the Academy as the gold standard for industry recognition; that the Emmys and other established industry events like SXSW now have a Best Title Design category should compel the Academy to consider its merit. There has certainly been no shortage of great film title design on the big screen in 2013, 2014, or 2015. So why aren’t these titles – or the people behind them – being recognized by the Academy of Motion Picture Arts and Sciences? Obvious factors like the abundance of existing Oscar categories and the length of the already bloated Academy Awards telecast certainly play a role in the omission, but the lack of a Best Title Design award basically boils down to one thing: politics. Every existing Oscar category has a posse. That is to say, each category has a corresponding branch within the Academy of Motion Picture Arts and Sciences and its own trade guild. The Directors Guild of America represents most of the Best Director nominees and the Directing branch of the AMPAS (which shares a sizable amount of its membership with the DGA) votes to determine those nominees and winners. Other guilds (like the Screen Actors Guild and the Writers Guild of America) and Academy branches (like Acting and Writing) operate in much the same manner. Bill Kroyer is a pioneer of digital animation and the title designer of Honey, I Shrunk the Kids, National Lampoon's Christmas Vacation, and Troop Beverly Hills. He is also Director of Digital Arts at Chapman University’s Dodge College of Film and Media Arts and a Governor of the Short Films and Feature Animation Branch of the Academy of Motion Picture Arts and Sciences. He serves as Co-Chair of the Academy’s Science & Technology Council. This does not in any way denigrate the contributions made by artists working in dozens of specialized roles. The Academy limits itself to the major categories. I attended the VES Awards [recently] at the Beverly Hilton and they gave out 23 awards (!!!) for various areas of visual effects. The Academy awards ONE Oscar for Best Visual Effects. So, there is no Title Design branch within the AMPAS or a Title Designers Guild. Many individual title designers have tried to make the case for an award, but without any kind of organized representation in Hollywood, these designers face an uphill battle. Though some guilds do have members who work in the field of title design, those organizations on the whole are not eager to upset the order of things over matters that don’t pertain directly to their particular field. We reached out to the Academy and a number of the major Hollywood guilds for a comment regarding a Best Title Design Oscar. Most either did not reply or would not offer comment. Did you bring enough for the whole class? Another possible reason there is no Best Title Design Oscar is that title designers are not the only entertainment artists or craftspeople who have been lobbying for recognition from the Academy. Movie stunt professionals and casting directors have long lobbied for an Oscar of their own, with the latter making major strides in recent years with the founding of the Academy Casting branch in 2013. This move puts casting directors much higher on the AMPAS totem pole than title designers, as far as potential new Academy Awards are concerned. Kyle Cooper is a director and designer of title sequences, most notably Se7en, The Island of Dr. Moreau, Dawn of the Dead, and Arlington Road. In 2003, he founded the creative studio Prologue with Kimberley Cooper. "Main titles will always be behind casting. The casting agents have historically lobbied the academy very hard for an award in that category. The Academy response to [the question of a Best Title Design category] has historically been 'get in line behind the casting directors.'" 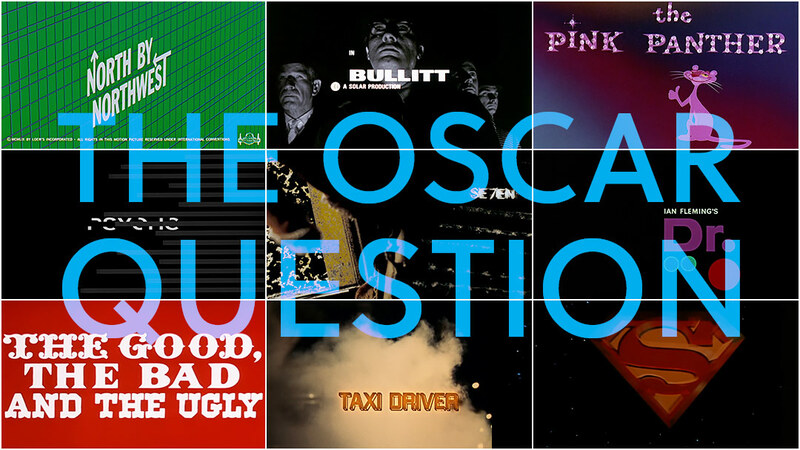 We’re certainly not the first people to ask the question – the case for a Best Title Design Oscar category has been made before, but as champions of this wonderful artform we would be remiss if we didn’t discuss the issue. Though they may not pick up any hardware during the ceremony, the irony is that title designers are an integral part of the Oscars telecast. For the 86th Academy Awards, Designers Henry Hobson, Manija Emran, and the team at Mill+ put together a package for both the live broadcast and in-house theatrical experience that included the striking title cards for the nominees and the moving In Memoriam sequence. Title cards for Best Picture nominees designed by Henry Hobson, Manija Emran, and the team at Mill+ for the 86th Academy Awards. Previously, title designer Kyle Cooper and studio Prologue provided montages, interstitial graphics, and title cards for nine of the eleven Oscar broadcasts since 2004. Even without formal recognition, title designers and design studios have been demonstrating their craft at the Academy Awards for decades. What would Saul Bass do? 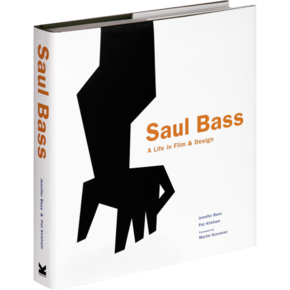 Jennifer Bass is the co-author of Saul Bass: A Life in Film and Design and the daughter of legendary graphic and title designers Elaine Bass and Saul Bass, who were responsible for the iconic title designs of Vertigo, Psycho, North by Northwest, Casino, Cape Fear, and others. "In terms of an Academy Award for title design... My first instinct is that [my father] might feel as though having an award for titles would, in itself, perhaps begin to change the nature of title sequences in ways that could actually skew the orientation away from what he considered the primary obligation of a title sequence: to best serve the film, even if that means being very minimal or quiet in terms of design (and therefore recognition). However, I also know he would feel strongly that good work and important contributions to filmmaking should be recognized, and just as cinematography or production design are celebrated at the Academy Awards, good title design should be as well. So, my guess is that he would support it." Do you feel there should be a category? Richard Greenberg is a title designer and a co-founder of R/Greenberg Associates (now international agency R/GA). Altered States (above) is one of dozens of film titles he designed. "I agree that there should be an award category for title design. As to why there is not; historically, until Saul Bass came along, titles were not considered a design element in the picture. They generally were viewed like the title page in a book. To raise the Academy’s consciousness about title sequences warranting an award, they must be educated in the wonderful sequences created in the last 30 years – in particular the work of Saul Bass and Steve Frankfurt." Daniel Kleinman is a British commercial and music video director and title sequence designer. He created the title sequences for the James Bond films from 1995’s GoldenEye to 2006’s Casino Royale. In 2012, he returned to designing for the Bond films with the title sequence to Skyfall (above). "I think this is a good idea; it would promote creativity and encourage and reward a rather overlooked yet much loved facet of the filmmaking industry. There aren't that many other bodies that recognise the work done in this area, so it wouldn't overlap with other awards. D&AD, a British awards body, give awards for titles but similarly to other awards where titles are eligible for recognition, titles are not a category in their own right and they are bundled in with film graphics and effects in general." "I'm supportive of an Oscar for Best Title Design. I think it would go a long way toward acknowledging the title sequence as a serious artistic contribution to film. It would also help our industry recognize that the title designer can be a valuable member of the creative production team, and not just a vendor who supplies a service. 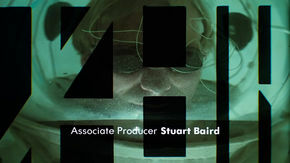 Gareth Smith co-designed the acclaimed title sequences for Thank You for Smoking, Juno (above) and Up in the Air with wife Jenny Lee. I'm not quite sure why there isn't currently a title design Oscar category, but I'm assuming that there is a great deal of politics involved in such a decision. I'm sure the Academy is concerned about precedent; that by allowing this additional category, the floodgates would open and many other categories would be demanded. Every second of the Oscars appears to be a battle against the clock, so any additional category spells trouble for the broadcast. Also, title designers don't belong to any of the guilds in this industry, so they lack the organized clout to push for this category. As title design expands as a field, it might be time to consider a guild that represents the concerns of our profession to producers and studios." 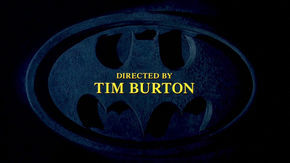 Richard Morrison is a title designer responsible for the opening titles of Batman (above), Brazil, The Dreamers, and many more. "We all have a legal screen credit. To be recognised by the Academy for our creative stamp would be fantastic and is well overdue. Not sure why not – but maybe we all need to stand together and sign up to a formal request through Art of the Title and go and knock on their door." 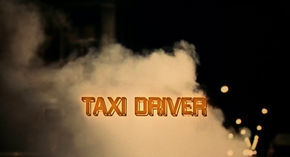 Dan Perri is the title designer of more than 400 film and TV projects including Star Wars, Taxi Driver (above), The Warriors, Raging Bull, and Airplane! "Though I'd definitely like a Title Design category, years ago I contacted and petitioned the Board of Governors – more than once – to create a Title Design Branch and recognition for the craft. Their response was that there are so few of us, that we'd all be nominated every year. I never pursued it further." 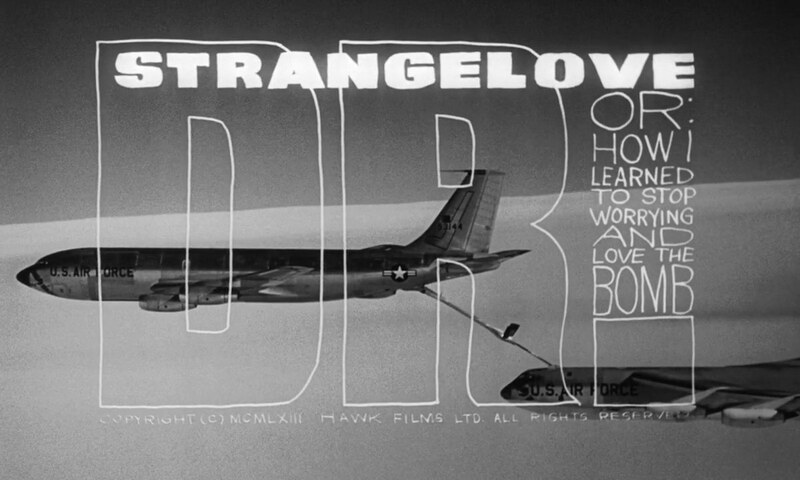 Pablo Ferro is a graphic designer and titles designer, most notably for Stanley Kubrick’s Dr. Strangelove (above), The Thomas Crown Affair, Bullitt, Beetlejuice, and Being There. "We have plans to aggressively lobby for the award this year – specifically for Pablo, as I – and others – are convinced that he not only deserves it, but that his contributions to the industry have paved the way to this point. If the story is in development, a graphic title can inspire content development"
We've posed the question “Why isn’t there an Oscar for Best Title Design?” to our readers during Oscars telecasts every year and are often overwhelmed by the responses received. There is obviously interest in a title design Oscar amongst the design community and our readers, but that desire probably doesn’t extend to the general public. While the industry has events like the SXSW Film Design Awards, which honours Excellence in Title Design in film, television, video games, and conferences, until title sequences are recognized on the Oscar stage the craft will not be widely understood or appreciated by the public. If you want to see a Best Title Design award at the Oscars then spread the word. Keep asking the question. Join us in shining a light on the work of these great creators.